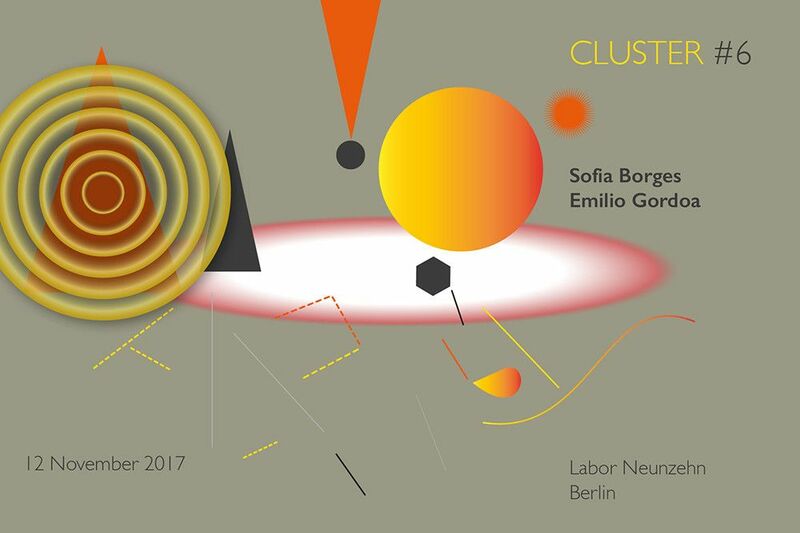 Labor Neunzehn is pleased to present a program focused on the correspondance between the compositional and the performative practice, with Sofia Borges and Emilio Gordoa Rodriguez. In 2015 I composed L’homme Machine #1 for electronics and twelve tune music box-o-phon – a customized instrument made of 12 motorized music boxes. Whereas in L’homme Machine #1 the only instrument used was the twelve tune music box-o-phon, other amplified objects where added to L’homme Machine #2 . Several techniques (such as spectral analysis among others) were used to expand and maximize the original acoustic sound of the instruments and to create textures and contrasts. Immaterial Souvenirs was born from my desire of combining in just one piece several instruments, objects and field recording that I collected over the years but still haven’t found space for them in any other of my former pieces. Immaterial souvenirs is divided in two parts: implosion and explosion. In the first part three materials – metal, wood and sinus waves – coexist separately and eventually implode. In the second part sounds and objects are “extrapolated” out of a field recording creating bursting textures. For prepared vibraphone and speakers. This piece composed by Emilio Gordoa in 2017, invites the listener to achieve a deep listening and reaffirm there is no repetitions on a natural ambit. 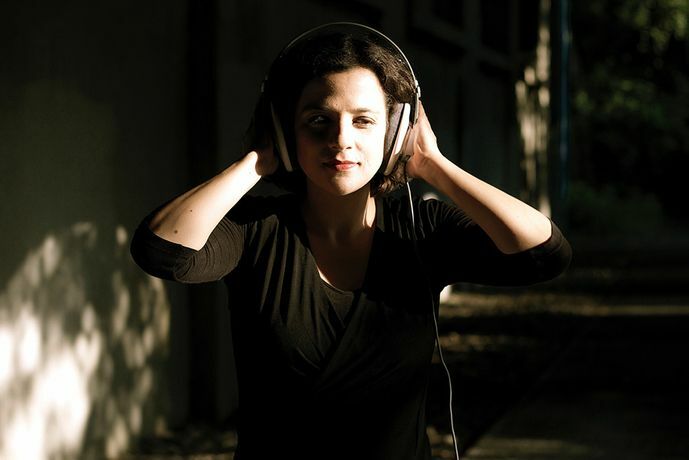 Sofia Borges is a versatile musician active as a composer, performer, percussionist and sound designer. She focuses on interdisciplinary work and blending a variety of genres, traditions, materials and technologies. Her compositions cover a wide spectrum ranging from chamber, orchestra and vocal music up to theatre, dance and multimedia performances and installations. Sofia has participated in numerous international festivals all over Europe, U.S.A, Brazil, Macao, Taiwan, Australia and New Zealand. Her versatility is also apparent in her most recent projects, e.g. the music for Regina Rossi’s choreography GLOOM and the duo with the drummer Dag Magnus Narvesen. In the frame of the TENSO Network she she composed for for the french vocal ensemble Musicatreize and the Latvian Radio Choir. When performing as a composer-performer, she not only uses self-programmed electronics but also instruments she has developed herself. Sofia is also a dedicated educator, having among other projects headed the composition lab with school children at Klangradar Berlin in the years 2015/16 and 2016/17. Sofia Borges began studying Percussion and Drums in Lisbon both at the Conservatório Nacional de Lisboa and the Luís Villas-Boas Jazz School. Later she devoted herself to composition, studying at the Escola Superior de Música de Lisboa. In 2012 she completed her MA in Multimedia Composition at the Hamburg University of Music and Theater. He’s involved in numerous projects including his work as a soloist and in collaboration with theatre and dance. Emilio is specially focus in sound art, experimental music, noise, free jazz, improvisation and contemporary music. 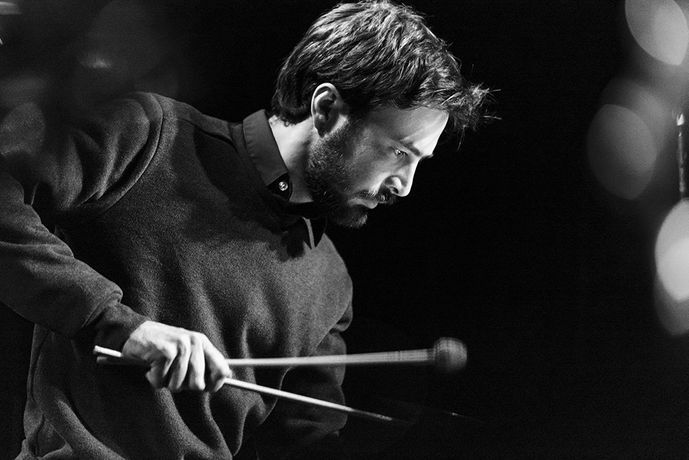 He is redefining the vibraphone as a source, treating it with preparations and extended techniques, and is a busy composer as well, writing graphic scores for a variety of ensembles, large and small, for theatre, documentary films and audiovisual. Studied music composition with Julio Estrada, Vincent Carver and Mario Lavista, and percussion with Raul Tudon. He has collaborated with several artist from all around the world such as Keith Rowe, Nate Wooley, John Russell, Tristan Honsinger, John Edwards, German Bringas, John Butcher, Misha Marks, Axel Dörner, Tony Buck, Tobias Delius, Kazuhisa Uchihasi, Ignaz Schick, Harri Sjöströjm, Frank Gratkowski, Jaap Blonk, Burkhard Beins and Ute Wassermann.Current member of the BerIO (Berliner Improviser Orchestra), and otherer ensembles like the Circuit Training. He often performs around Europe in a wide kind of scenarios. Some of his active groups are Para.keets, Corso, Dörner-Gordoa-Thieke-Vorfeld Quertet, RatiationIX and M0VE Quintet.